Ray Scott Announces 2018 Fan Club Party to Be Held During CMA Fest! Tickets On Sale Now! 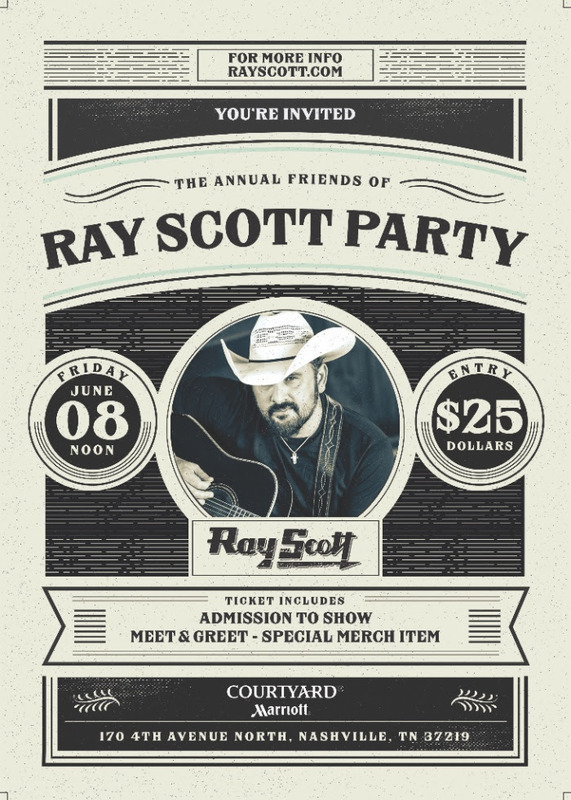 Ray Scott has announced that his annual Friends of Ray Scott Fan Party will be held on Friday, June 8, 2018 from 12 - 2:30 PM at the Downtown Nashville Courtyard by Marriott located at 170 4th Ave. N.
Tickets are on sale now for $25 and includes: admission, meet & greet with Ray, performance, and a special merch item!